Three years ago writer Ann Hui published a two-part series on Chinese restaurants in small town Canada. The response told her she struck a chord and something bigger was the obvious next step. Chop Suey Nation: The Legion Cafe and Other Stories from Canada's Chinese Restaurants is that next step. 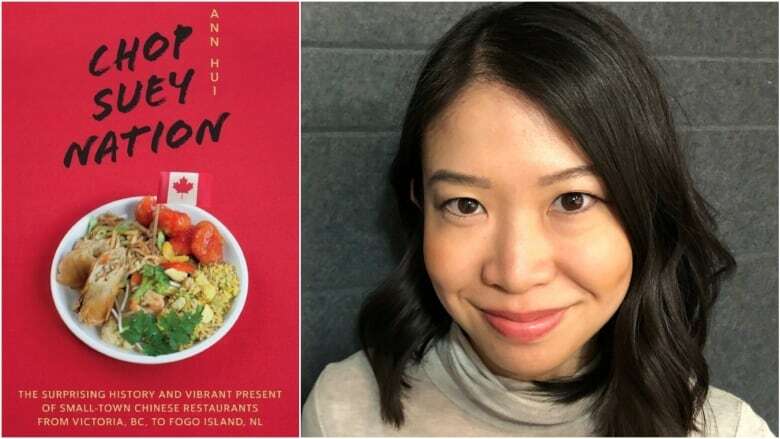 Hui shared her thoughts with The Homestretch on the evolution of that book and how on one level, the opening of all those Chinese restaurants was a creative response to the rampant racism facing some people. Q: How did the book come to be? A: After the story came out in the Globe and Mail I received a lot of notes. People wanted to talk about the Chinese restaurant from their town growing up. I understood immediately this was something people connected with, but it was only after I had been back in Vancouver a few months later that I learned my parents had run a Chinese restaurant before I was born. It was that realization of how little I knew about my own family, about our own story, that clinched in my head this is a book. Q: Why didn't your parents talk about it? A: I still don't have an entirely satisfying answer and it's something that I've learned is quite common with a lot of people who grew up with a similar upbringing, especially children of relatively recent immigrants. Our parents don't talk to us about where they came from. They don't share their histories. I don't know if it's because they don't think their stories are worth sharing. In a lot of cases the stories involve some level of trauma. There might be some sense of shame involved. Maybe I just didn't push hard enough for answers. The backdrop to all of this is that my dad was quite sick at the time so there was this added sense of urgency. I needed to know answers, to know our story before it was too late. Q: You travelled the country. What did you learn about the role of Chinese restaurants along the way? A: I learned the history of these restaurants, which I think is fascinating. A lot of these restaurants came about with the first Chinese men who came to Canada. A lot of them date back to the late 19th century with the men who first came for the gold rush or to work on the railroad. After those jobs dried up, those men suddenly found themselves facing these very real barriers. There were laws at the time preventing Chinese men from entering most professions. There were concerns these men would take jobs away from locals. All that was left to them was considered women's work at the time, laundromats, convenience stores and restaurants. These restaurants they created was this really creative, and I think genius way around these very real challenges. They built these restaurants from nothing. Most of them weren't professional cooks. They didn't have access to Chinese ingredients. They didn't have Chinese customers. This food they came up with, these very much made-in-Canada dishes, was their response to this discrimination.